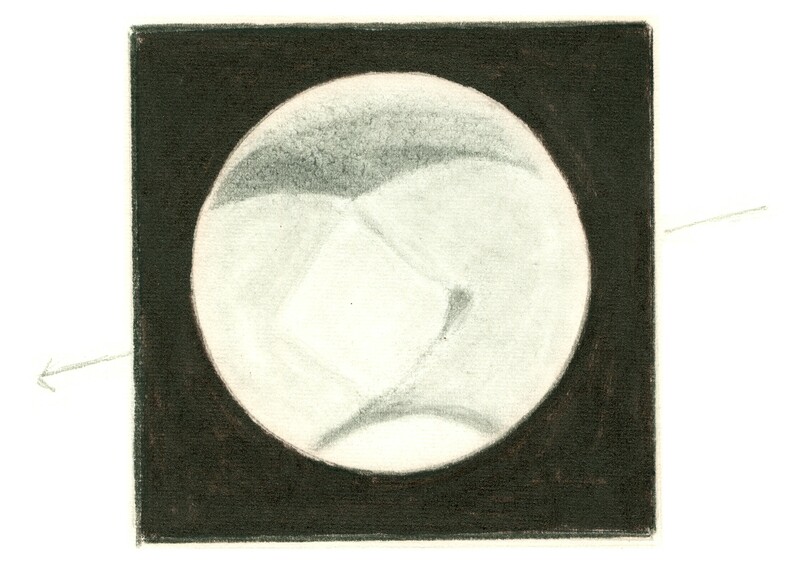 Mars on 1960 December 3/4 at 21:35-22:00 local time (02:35-03:00 UT) as sketched by K.R. Brasch. C.M. 185°. 8 reflector at 165x-300x. Seeing 4-2. Transparency 3. Canal structures seen for first time, appeared diffused and not as hair-like lines. Pentagon shaped area formed by canals was lighter in colour than surrounding rusty red area. T = 7°.